With some remarkable claims to fame, the Canadian Arctic is arguably the best part of the Arctic. 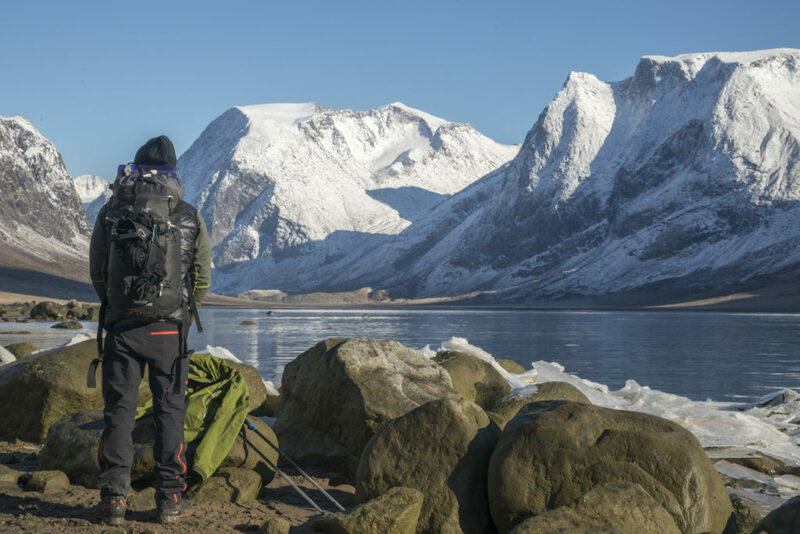 It is home to some of the largest populations of unique Arctic wildlife and unbelievable landscapes with some of the most iconic mountains in the north. 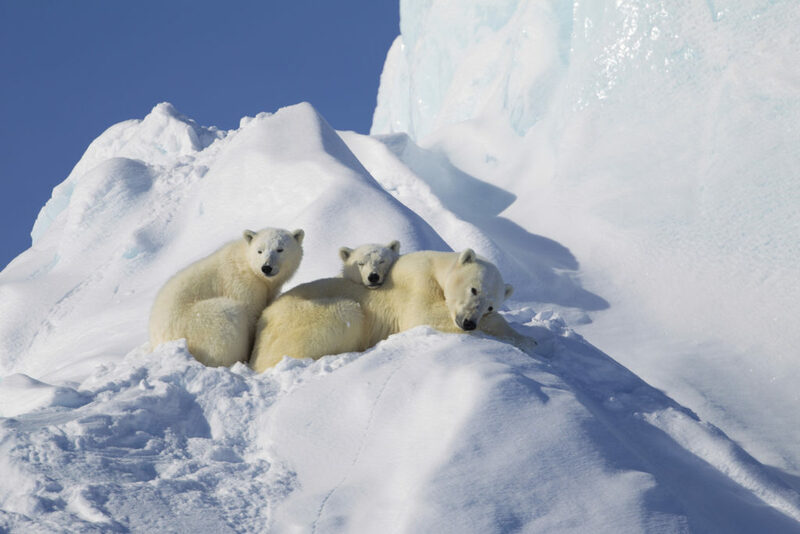 The wildlife of the Canadian Arctic sets it apart from all other Arctic regions. It is home to large populations of some of the most elusive animals on Earth. The Canadian Arctic is the perfect destination for those looking for polar bear, narwhal or other Arctic wildlife encounters. 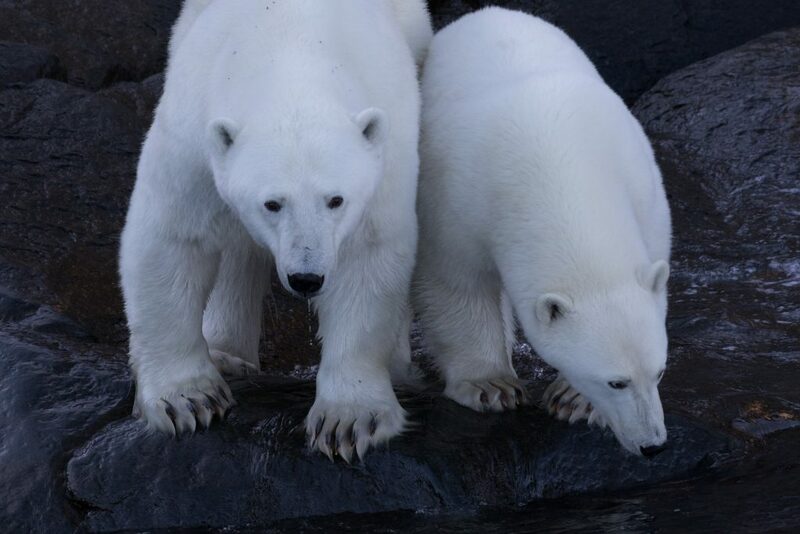 There are an estimated 25,000 polar bears worldwide, with 15,000 inhabiting Canada. Lancaster Sound, at the northern reaches of Baffin Island, is one of the densest polar bear populations globally and has 5.36 polar bears per 1000 km2. The Canadian Arctic is home to approximately three-quarters of all narwhal. Even more are known to summer in the Canadian Archipelago Islands during their summer migration. 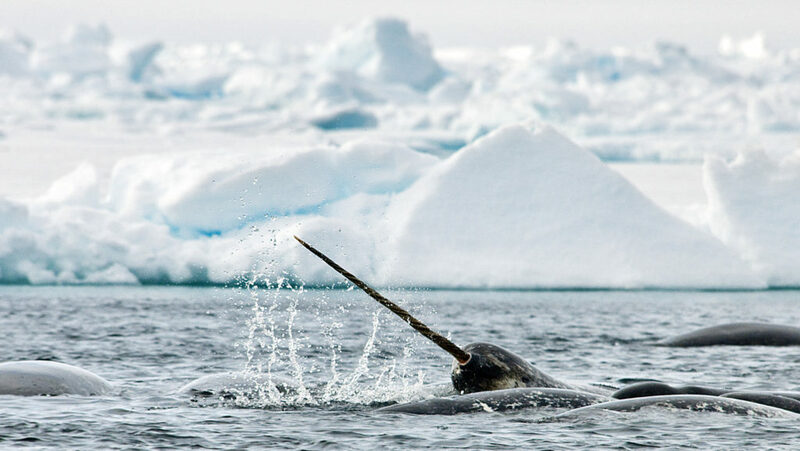 Narwhal spend their winters in deep water and so most of the narwhal population spend this time in Davis Strait, between Greenland and Baffin Island, Nunavut. When spring begins this population will migrate through Lancaster Sound and then spend their summers in the shallower waters of the Canadian Arctic. One of the best places to see narwhal up-close is at the floe edge of Lancaster Sound in May and June. The Canadian Arctic is a summer home to the majority of the world’s bowhead whales. Like many other Arctic whales, bowhead whales migrate into Canadian waters. Roughly 6,500 bowheads will migrate through Lancaster Sound. Known bowhead molting locations are found in Cumberland Sound and near the community of Qikiqtarjuaq, Nunavut. In 2009, Canada became the first country to create a bowhead whale sanctuary in Nunavut. Ninginganiq National Wildlife Area is the largest National Wildlife Area in Canada. 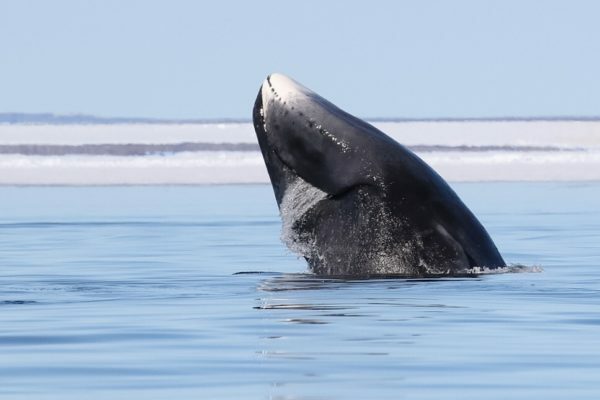 Isabella Bay, within the sanctuary, recorded over 100 bowhead whales at one time, making this the single largest known concentration of bowheads anywhere in Canada. 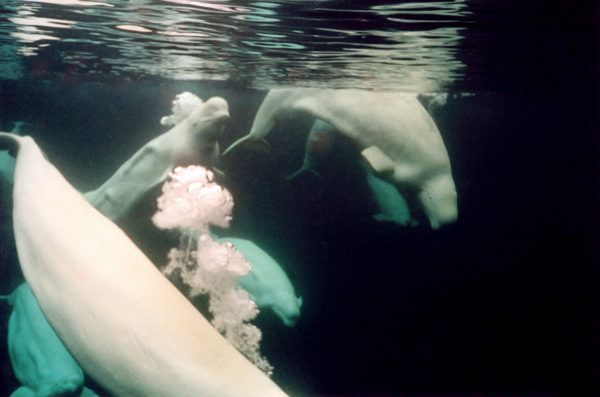 The majority of belugas live year-round in Arctic waters, with an enormous concentration in the Canadian Arctic. Beluga whales are also protected in Ninginganiq National Wildlife Area and key to their migration. 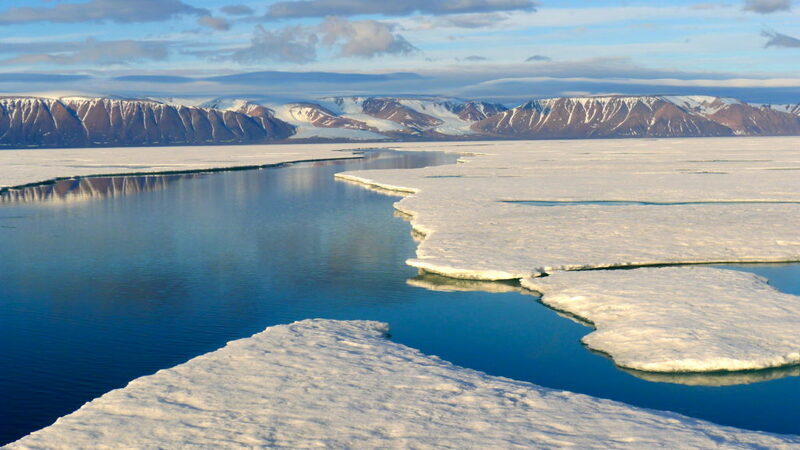 A key corridor for their migration is Lancaster Sound. Visitors can see beluga travelling along the floe edge socializing, feeding or breaching for air before continuing. In the summer season, some 2,000 beluga whales play, molt, mate and nurse their young just offshore in Cunningham Inlet. Nowhere else in the world do more whales gather so consistently. Beluga can also be found across the Canadian Arctic. There is a distinct population of beluga called the Cumberland Sound Beluga, which spend the entire year in Cumberland Sound. It’s also Canada’s largest island, stretching 507,451 km2 (195,928 mi2) with a population of 9,563 people. Also part of Canada’s Arctic, Victoria Island is the eighth largest island in the world and Ellesmere Island is ranked the 10th largest. Devon Island located between Baffin Island and Ellesmere Island is the largest uninhabited island in the world. The Canadian Arctic has a unique geography making up 55% of the countries land mass and 67% of the country’s coastline. But what makes Canada’s Arctic so different from many of the other Arctic regions in the world are its islands. The Canadian Archipelago are made up of 36,563 islands. 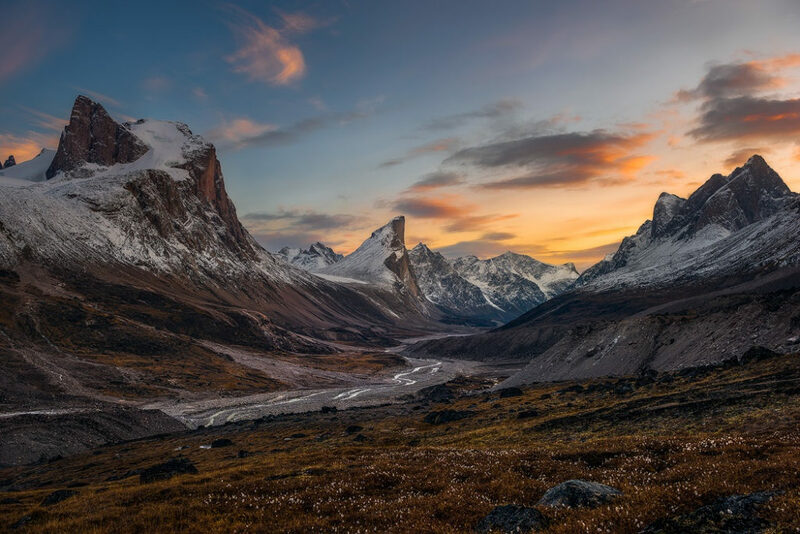 Baffin Island’s Auyuittuq National Park is home to famous mountain peaks. Thor Peak is the world’s tallest vertical drop, drawing in rock climbers and base-jumpers from around the world. You may recognize Mount Asgard from the James Bond film, The Spy Who Loved Me. Do you remember the scene in where Bond makes an incredible escape by skiing off a cliff to parachute away? That’s Mount Asgard. Barbeau Peak on Ellesmere Island stands 2,616 m (8,583 ft) high, making it the highest mountain in eastern North America. Also, on the island is Lake Hazen, the largest lake north of the Arctic Circle. Ellesmere Island is also home to Agassiz and Grant Land ice caps, the largest ice caps in Canada. 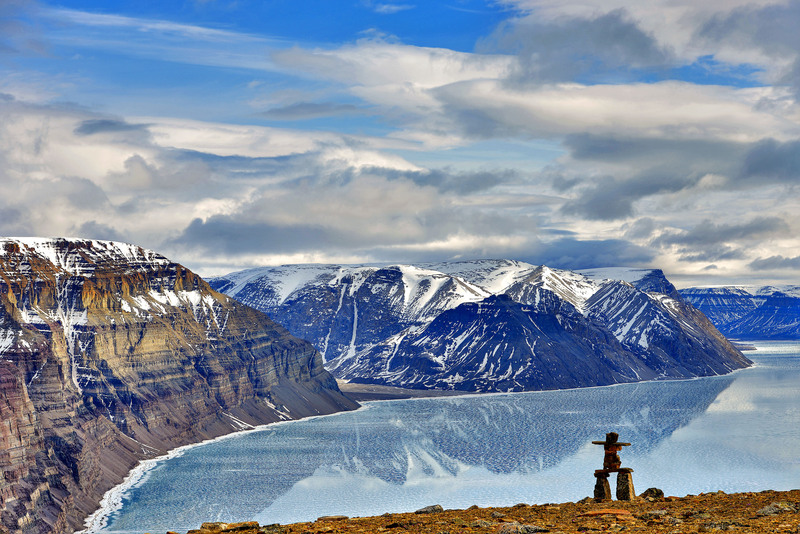 Want to Visit the Canadian Arctic? The Canadian Arctic is a remarkable place. The unique landscapes are like nowhere else on Earth, and there are no better places to see narwhal and polar bears. Some of the best ways to experience the majesty of Canada’s Arctic and up-close wildlife encounters are on land-based Arctic Safaris. Not sure where or when to travel to the Canadian Arctic? Contact our Arctic Travel Advisors for more information. Subscribe to get an inside look at the Arctic from anywhere.